This is a guest submitted Easter project. Mrs. Jones and her 4th graders made these cute door-hangers to take to the nursing home to give to the senior residents for their doors. Mrs. Jones and her class make and deliver gift projects three or four times during the year to the nursing home. What a great way for the children to show respect and love for the seniors. This project, “Bunny Welcome Door-hanger,” can be found in the 4th Grade Projects Gallery in the sidebar. 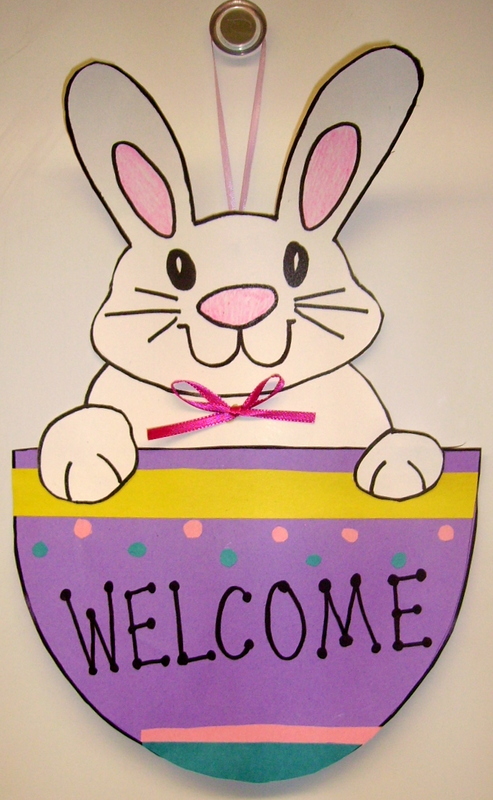 This entry was posted in 4th Grade, Easter and tagged 4th grade, bunny door-hanger, bunny sign for easter, bunny welcome door hanger, easter crafts, easter crafts for kids, paper crafts. Bookmark the permalink.